November marks 50th years since the original episodes of the time traveling show Dr. Who premiered in the United Kingdom. Though it did stop for a while, it has returned in a modernized version of the series that is still going strong. The secret is having a main character who can regenerate after he is fatally wounded and comes back looking completely different. If one actor is done with the role, another one can pick it right back up. As I’ve watched the series, I thought “This is a pretty great series for LDS families.” And I think there are many reasons for that, so here are my top 5. 2. You can dress up as a different Doctor for Halloween for 13 years (and counting) using stuff you can probably find at D.I. 4. The Doctor always tries to solve his problems non-violently, tackling things with no more than a (sonic) screwdriver. 5. We always sing about if we could hie to Kolob. He could probably actually do it. In fact, he goes many places and times, so that the show is an interesting blend of science fiction and historical fiction. You might actually learn something! 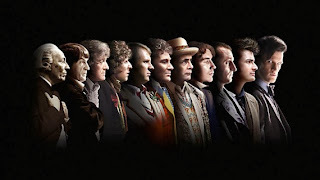 If you are just getting started, you can watch Dr. Who on Netflix, Hulu and Amazon Prime.